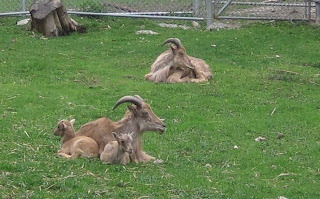 Obviously I don't get out enough because in spite of having lived near the park in question for a spell about 25 years ago, I didn't know it also has a zoo. 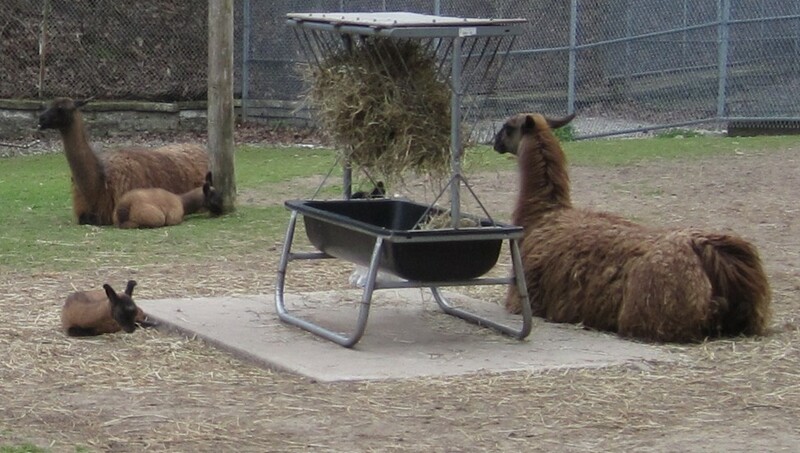 I so love the way llamas look. You can get fiber from llamas, right? Maybe I'm making that up. 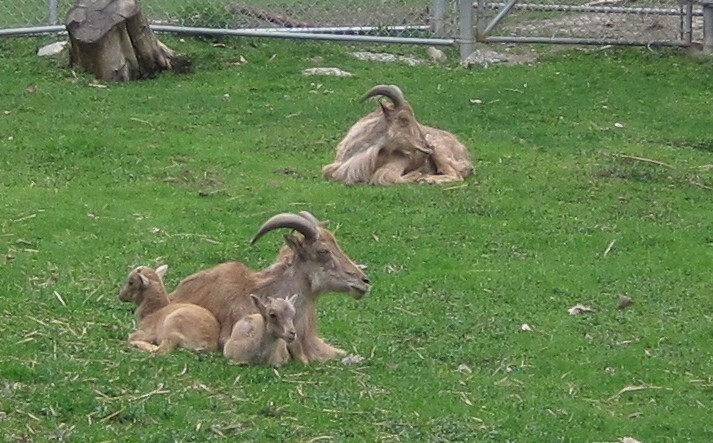 They look totally huggable, anyway, and this baby was adorable, grazing on the grass within reach of his nose. Somewhere after that was an emu, for whom I felt a great fondness (from a respectful distance.) Not so two other passing ladies who had stopped to admire him just moments before he pooped in really the most dramatic, abrupt way, leading to astonished cries of horror and disgust. 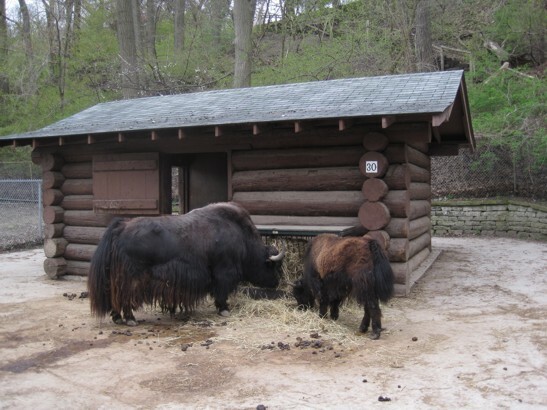 I cropped out as much as possible of the bison poop from those animals' glamour shot, but I can assure you there was a lot more that wasn't around their feet, so I'm not sure why those ladies were surprised by more animal poop. It was a zoo after all. It's Thursday already, of the week I was supposed to recharge my batteries after four months of packing and moving with mum. I'm still stuck on my baby sweater and almost out of yarn for my mystery shawl and getting alarmingly past the point of travel knitting with the sock sweater and I've hardly sat down at all because of all the cleaning and purging (in particular of my closet after reading that Sel and Poivre had done that yesterday in spite of other clearly more pressing concerns.) I think I deserve some sittin' time today, don't you? It really pays to be a tourist in your own town doesn't it? Love the zoo pics. Llama *wool* is lovely for spinning. It's straight (usually no crimp), and fine, and it makes a really gorgeous halo. 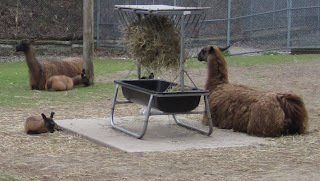 There is a llama farm about 2 miles from where I live, and my first really nice handspun yarns were llama/wool blends. I love spinning it. How many projects are too many projects?